Please note that this policy had rarely had to be implemented and only with a very small minority of customers, who have made the policy necessary. However, any repair not collected after two weeks will, at our discretion, incur a £12 weekly storage charge from the date of repair. 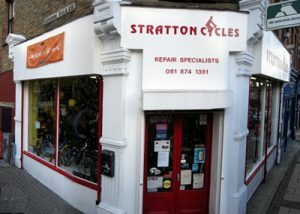 We apologise for this measure as this is due to a minority of customers who have left bikes with is for a long period of time, and therefore we are unable to help others due to lack of space.